Ideal base for those who want to discover the local attractions of the city! Situated under a short walk from Lalbagh Metro Station Vaibhav Residency provides guests with an ideal base while in Bangalore. 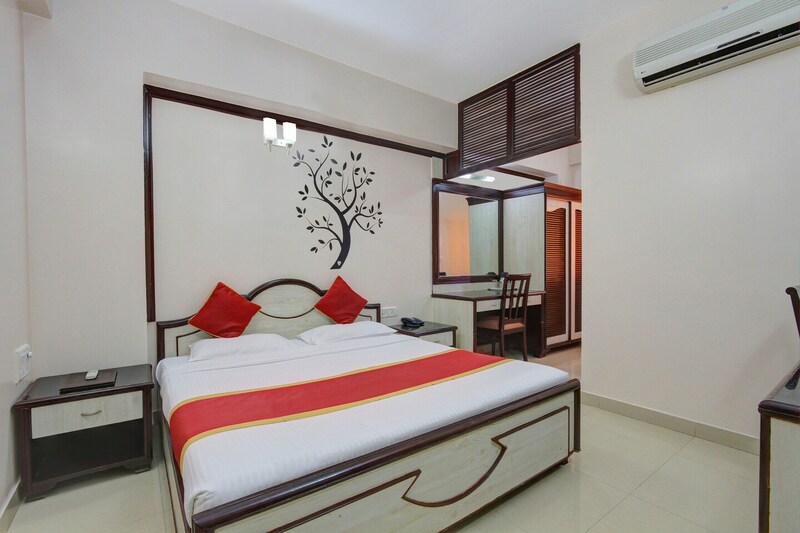 The bedrooms at the hotel have light colored walls and modern wood furnishings with images of tree branches and flying birds painted on the walls, lending the rooms a cheerful and cozy ambience. A conference room is also available at the hotel for the guests to make use of during their stay. Other amenities offered by the hotel are a geyser, free Wi-Fi, power backup, CCTV cameras, laundry and parking facilities and a card payment option. This hotel is ideally based for those wanting to discover the area's renowned local attractions. The area is also well connected by all the means of local transport and one can visit famous tourist spots like Maharajas Statue, Lal Bagh, Lalbagh Botanical Garden and Sri Maheshwari Temple easily from this area.